Bobby and I live on a farm in beautiful Dumfries and Galloway surrounded by picturesque countryside. We have been married more than 56 years and have one daughter and two sons who over the years, presented us with seven grandchildren, and at the last count we now have eight great grandchildren to add to the fun. From the beginning of 2015 Bobby’s health began to deteriorate quite quickly – he was experiencing chest pains, shortness of breath, falling and feeling faint on exertion. After many visits to our GP he was eventually referred to the consultant cardiologist at the Dumfries and Galloway Royal Infirmary (DGRI) in July 2015, and they told us they thought Bobby had PH. This condition was something totally unknown to us and we had no idea what lay ahead. Our next appointment was with the respiratory consultant, again at DGRI. Three months later, while on a weekend away with family, Bobby was admitted to hospital in Edinburgh when he collapsed after walking just a few yards. The following week we went back to the DGRI who immediately started him on oxygen therapy during the night and when he was moving around in the daytime. At this time, he was referred to the Scottish Pulmonary Vascular Unit (SPVU) at the Golden Jubilee Hospital in Glasgow. We attended there in late November and it was decided to admit him in January 2016 for further tests. Unfortunately, late at night on 28th December 2015, Bobby was again admitted to DGRI after having a heart attack. 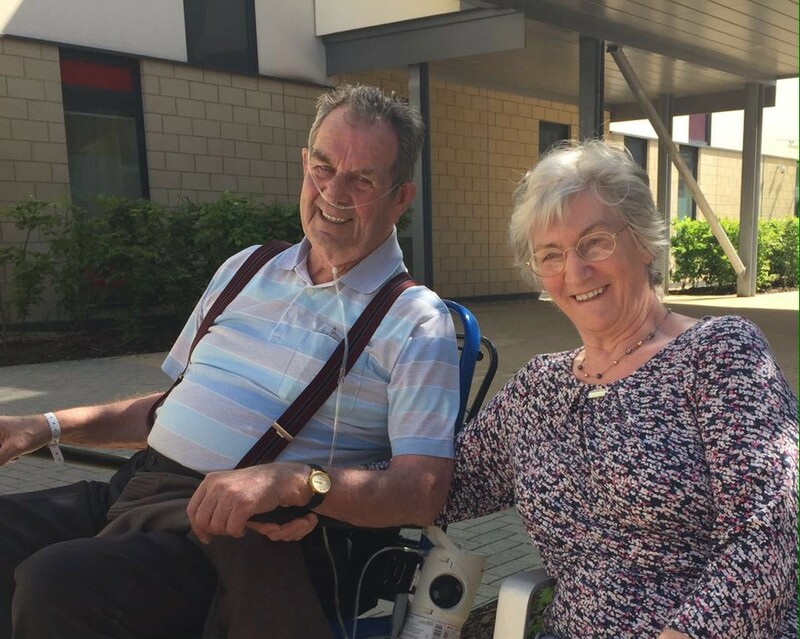 A week later he was transferred to the Golden Jubilee where extensive tests on his heart and lungs were carried out and in January 2016, we finally had an Idiopathic Pulmonary Hypertension diagnosis. Because of all the stress of Bobby’s health deteriorating rapidly the previous year, in a strange way it was a relief to have the diagnosis, but we also had a great fear of the unknown and worry about whether the doctors would be able to help him. Bobby’s condition has brought huge changes to our day-to-day lives. He is a now on oxygen therapy 24/7 and uses his nebuliser seven times a day. He was a very sociable man and a great supporter of our local community, being president of two bowling clubs and a founder member of a boxing club. Sadly these are pastimes he is no longer able to enjoy. 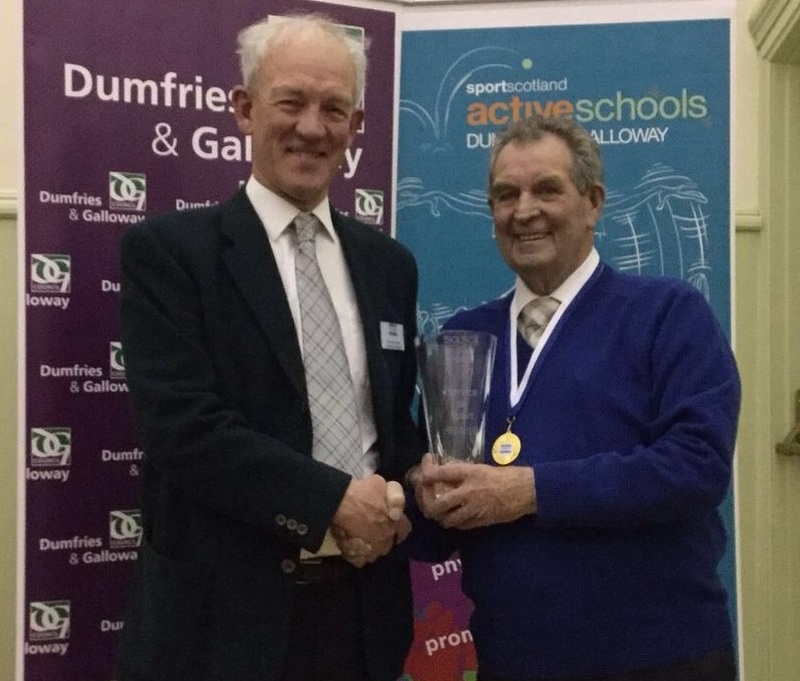 In 2016 Bobby was invited to Dumfries and Galloway Sporting Awards ceremony when he was presented with a trophy for his services to boxing over many years. As you can imagine it was a very happy and proud night for all the family. We do our best to support each other day by day. I try to encourage Bobby to do what he can for himself so he still feels he has a bit of independence. We now have a level access shower fitted and this has been a tremendous help and has given him more confidence with his washing and dressing. Towards the end of 2015, due to his heightened anxiety levels, he frequently became unwell at night when preparing for bed and it was a very stressful time for us. Bobby gets frustrated at not being able to carry out general household tasks but does his best to help in any way he can. He makes a great cuppa and it’s always much appreciated. Although our family have all moved away from the area, they are still very supportive, travelling down and taking us to numerous hospital appointments when required and telephoning and visiting frequently. We also have a good circle of friends who are only too willing to help out should we need it. While Bobby was in hospital for a few weeks during the summer and the garden was in need of attention, our friends very kindly stepped in to tidy it up. In a strange way it was a relief to have the diagnosis, but we also had a great fear of the unknown. We take each day as it comes now and don’t plan too far ahead after all the ups and downs of last year. But I’m really happy to say that after some changes to his medication, Bobby’s general health is much more stable. He can now enjoy pottering around in his new greenhouse, a gift he received from the family for his 80th birthday. We have had to make a lot of adjustments to our lifestyle. We enjoyed weekends away with friends and trips up the country to visit our daughter and sons and their families. Unfortunately, some of their homes are not easily accessible for Bobby, so these visits are no longer an option for us. Our nearest supermarket is 15 miles away so going shopping is a bit of a marathon, for example making sure we have enough oxygen and nebuliser meds with us, and having to watch the clock all the time. 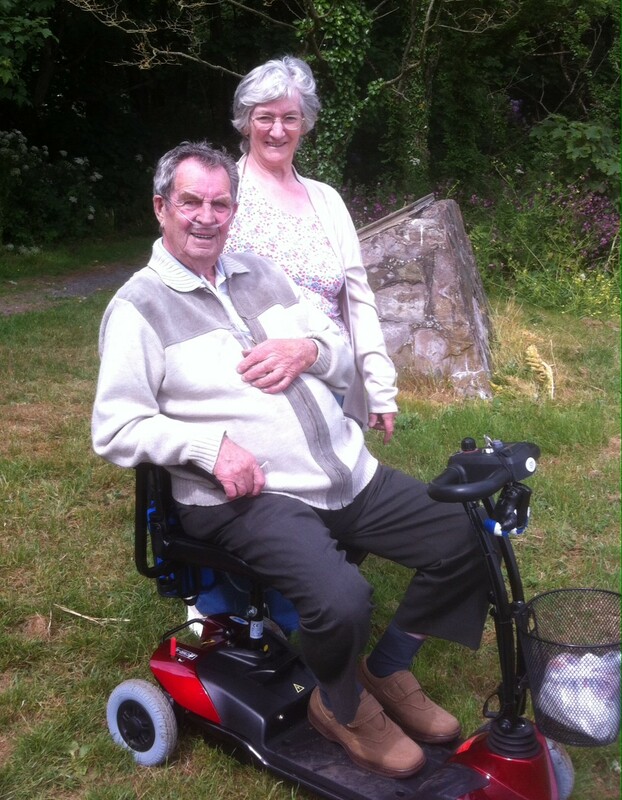 On the plus side, Bobby now has an electric scooter which has given him the freedom on a good day to get out and visit our local country gardens and walks, which have always been a great part of our lives with our children, grandchildren and great grandchildren. Bobby on his electric scooter. After reading the leaflets we were given when Bobby was diagnosed we decided to become members of PHA UK and we feel the information we have received since then has been beneficial in helping us to have a better understanding of PH. It is a steep learning curve and I want to know as much as I possibly can about how I can help, and if there are things I can do better for him. In April we attended the Patient’s Day at the Golden Jubilee, which was supported by PHA UK, and we both found this to be a reassuring experience. Meeting and talking to fellow sufferers helped Bobby to realise he is not alone on this journey. I attended a workshop for carers and for the first time I felt I was talking with people who truly understand what it is like living with PH. Our sincere thanks go to the SPVU team in the Golden Jubilee and the Queen Elizabeth University Hospital for all their expertise and support and making us feel we matter. It’s of great comfort to us to know that should we have a problem, we can pick up the phone and someone will be there with some words of wisdom and reassurance.